There wasn’t much talk about the huge crash that Justin Barcia suffered in the third main event at A2. Below you can see Barcia in the bottom of the screen stepping off his YZ450F in the middle of a rhythm section landing on his tailbone. He was attended to by the Alpinestars medical personnel and eventually helped off the track. Barcia will be evaluated further the beginning of next week. 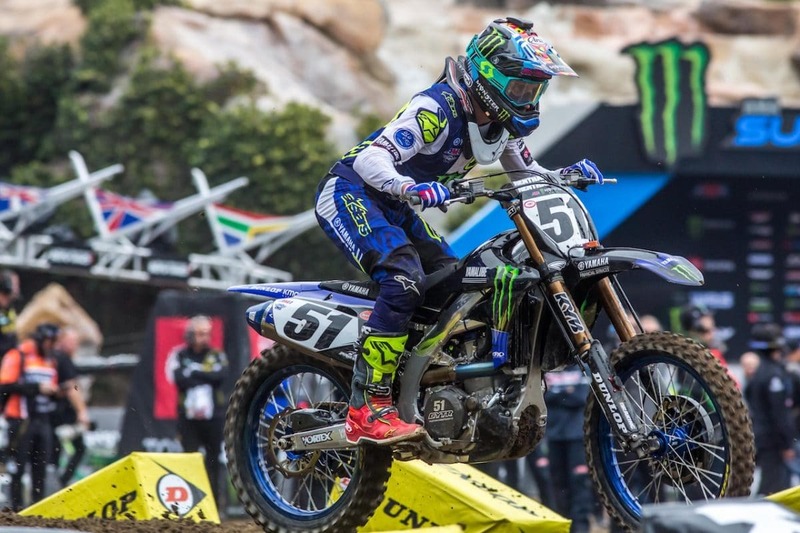 Team Yamaha released this statement earlier today “It was more of a roller coaster night for Barcia. Like his younger counterpart across the tent, he had a bad start in the first main event that made life more difficult, leaving him to battle his way to seventh. Main event 2 went much better with a third-place finish as the deteriorating track conditions put some of the best Supercross riders to the test. That third-place result put him in a good position for points going into the final race and delivering fifth overall in the Triple Crown. Then an unfortunate crash before the race’s halfway mark, ended the Anaheim 1 winner’s night. Barcia left the stadium to seek medical attention for a possible bruised tailbone; the team awaits further news of his condition. ANAHEIM 2 SUPERCROSS RESULTS: ANOTHER SURPRISE!